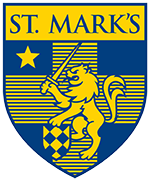 At a special meeting of the Board of Trustees on November 7, 2013, Assistant Headmaster David W. Dini was unanimously appointed to become the next Eugene McDermott Headmaster of St. Mark’s School of Texas, effective July 1, 2014. In a letter to the School community, the Head of School Search Committee expressed their full support and respect for David. "For the past 19 years, David has upheld the School's mission to educate the whole boy. He is a role model for our boys and a consistent champion of our world-class facility. He values faith and family and always has the best interest of our boys at heart." David has worked collaboratively with faculty, staff, and students in all areas of campus life. He has coached, taught, advised, and led student trips both in the United States and abroad. As head of the Office of Development & Alumni Relations, David was instrumental in the recent successful completion of The Centennial Challenge, which secured more than $112 million to ensure excellence at St. Mark's for the next one hundred years. A native Texan, David graduated from Strake Jesuit College Preparatory School in Houston before earning his bachelor’s and master’s degrees from Southern Methodist University. He began his career in education at The John Cooper School before serving as Director of Development at Graland Country Day School in Denver. In 1994, Headmaster Arnie Holtberg recruited David to St. Mark’s to create the comprehensive advancement program that the School enjoys today. The appointment comes after an extensive national search that began after Eugene McDermott Headmaster Arnie Holtberg announced his retirement in March 2013. 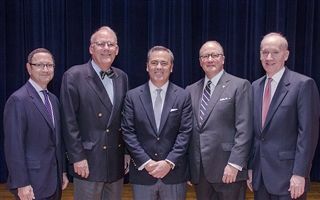 The search was led by a committee assembled by the Board of Trustees made of long-serving community members, including trustees, faculty, parents, and alumni. 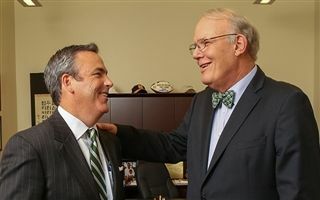 Click here for more information on our new headmaster and the search process.